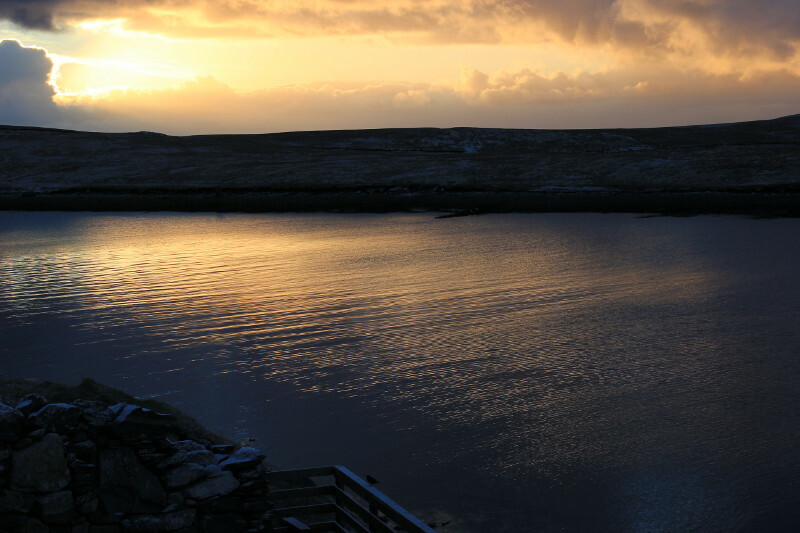 In March this year we spent a week staying on Yell, Shetland. 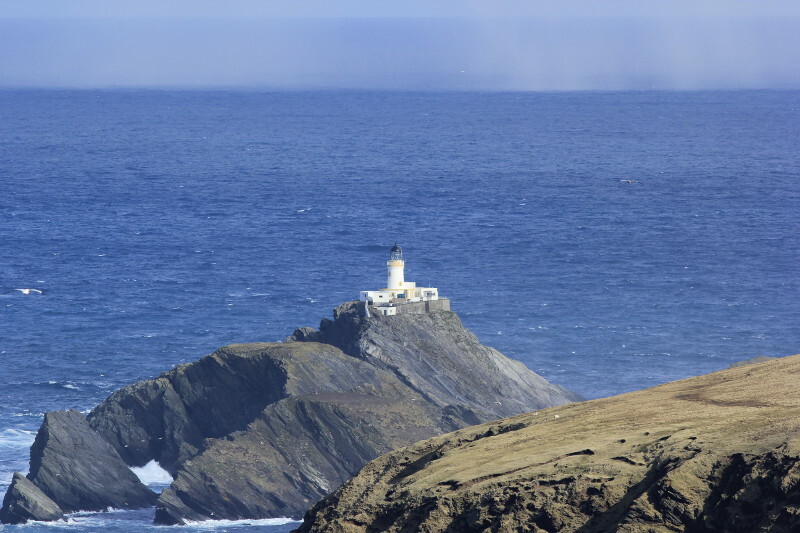 It was our fifth visit to the Northern Isles, although our first in winter. But the change of season made no difference to our enjoyment. As always, Shetland was a beautiful and tranquil place to spend time. Although it was too early for most nesting birds, opportunities for spotting otters and the northern lights more than compensated. Here are a few photo highlights from our trip. 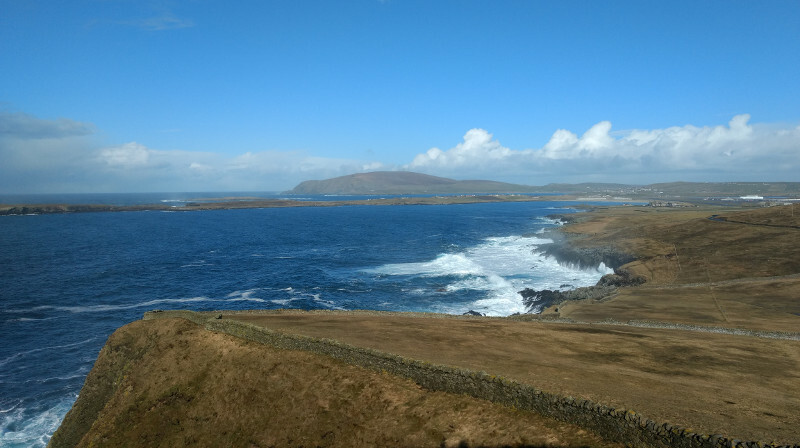 Moving north, the rest of these photos were taken on Yell, Unst and Fetlar. Note the frosting of snow. 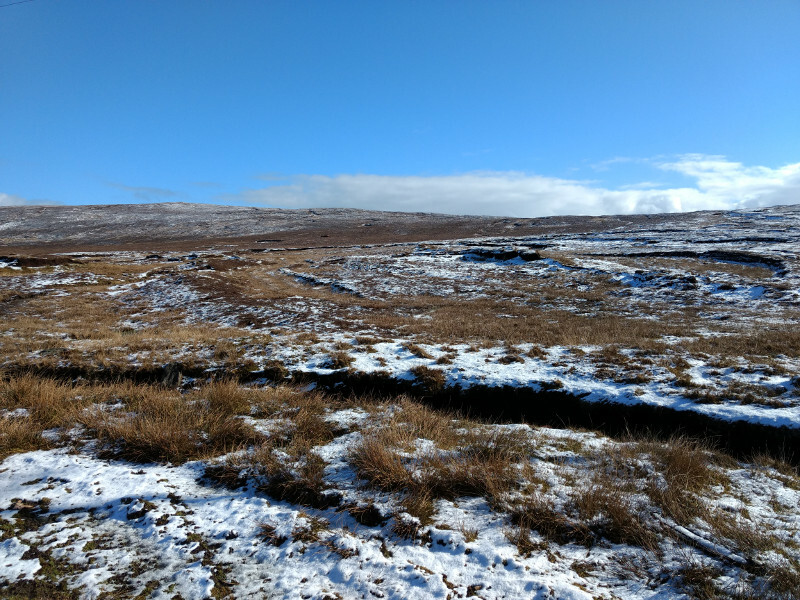 We had such a dusting on three days, giving a fresh look to familiar Shetland scenery. Overall, we were lucky with the weather — we only had one wet day and no gales while we were there. But the wind means that it usually feels cold — worth dressing warmly for long days outside. 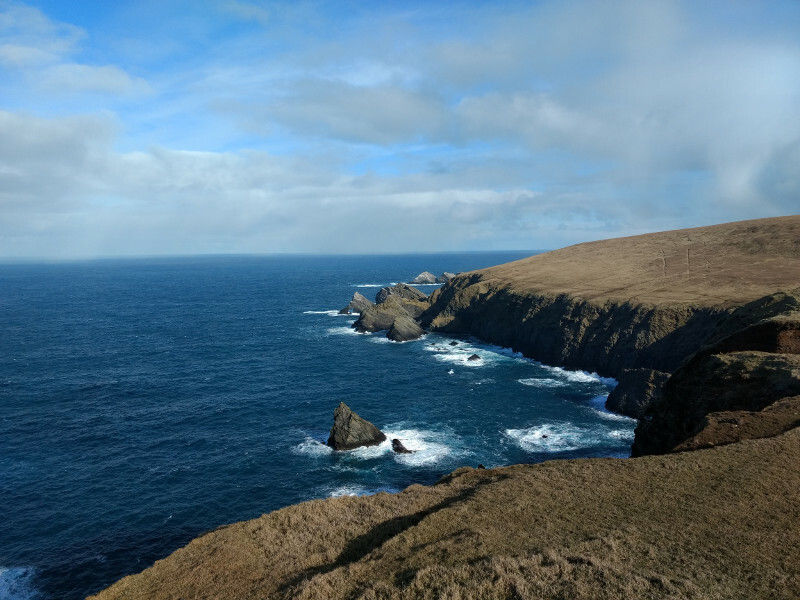 The view at Hermaness Nature Reserve on Unst. Blissfully free of people (we saw one person in about five hours) at this time of year. Can be ‘busier’ (relatively…) in summer, mostly with wildlife tours. Fortunately the 45 minute uphill walk from the car park deters too many casual visitors. It was too early in March for nesting seabirds such as Puffins, but gannets arrive to breed early in the year and were already present in large numbers at Hermaness and elsewhere. 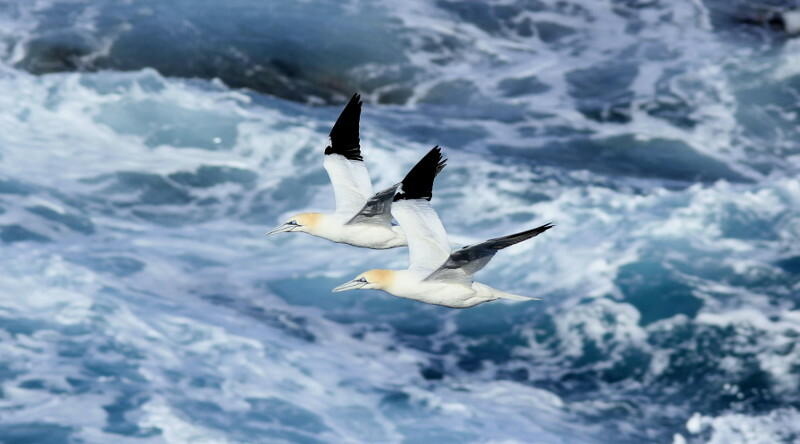 We don’t have a photo to prove it, but on more than one occasion we sat and watched gannets diving for fish until we’d seen so many that it was starting to feel commonplace… If you’ve never seen gannets fishing, it’s a fantastic sight. These large birds can have a 6ft wingspan. When they dive for fish they fold back their wings like a fighter jet and hit the water at up to 60mph. 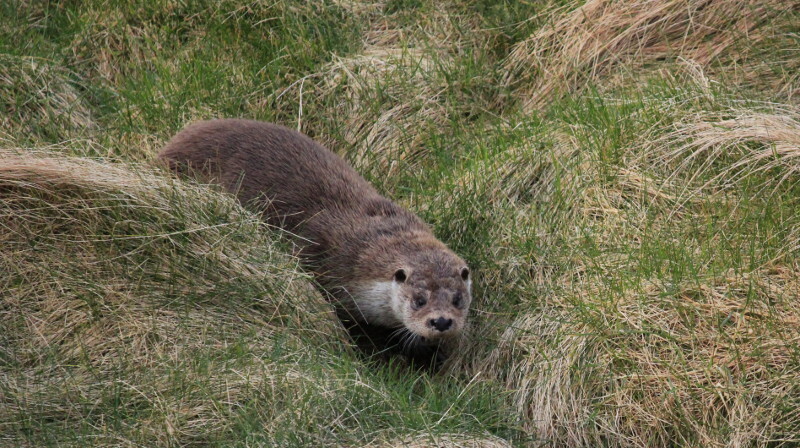 I should point out that this photo and the other otter picture have been heavily cropped and were taken with a 300mm lens and a 1.4x converter. We weren’t close at all, and took care to avoid causing any disturbance. 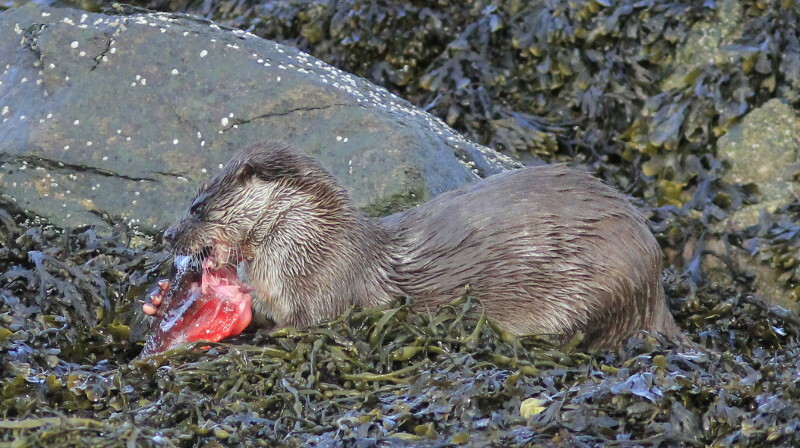 The otters were fantastic, but we had seen them before, albeit not feeding like this. But the next natural wonder we saw was new to both of us. One of the highlights of heading north early in the year is that it’s the season for northern lights. It wasn’t the most spectacular display, but it was our first and we were pleased. One point worth noting is that it always looks much more impressive in photos than in real life. 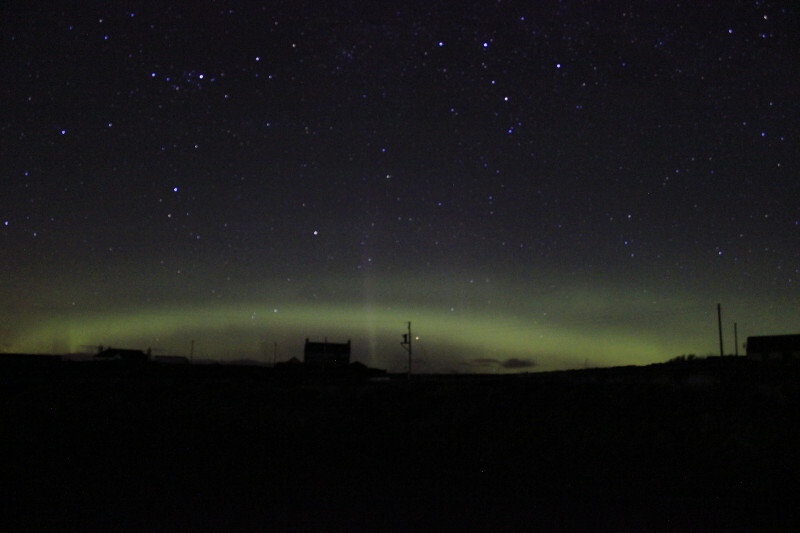 This is because these pictures were taken on a c.15 second exposure, so the aurora effect was greatly exaggerated compared with what you could see with the naked eye. We were lucky with the weather, but it did rain occasionally. 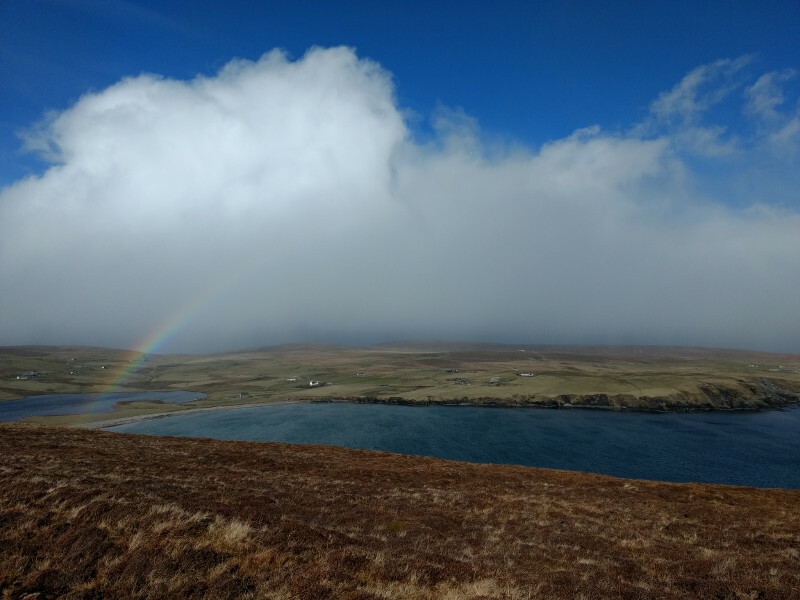 I’m pretty sure we found the end of this rainbow one afternoon on Fetlar, but there wasn’t a pot of gold. Great view, though. One of the more sombre attractions on Yell is the memorial to the RAF Catalina flying boat, which crashed at night on 19 January 1942. Returning from an aborted mission to bomb the German battleship Tirpitz, the Catalina was unable to raise RAF Sullom Voe on the radio. Conditions were poor and without the runway being illuminated, no landing was possible. The plane was circling the area when it crashed into the Hill of Arisdale. 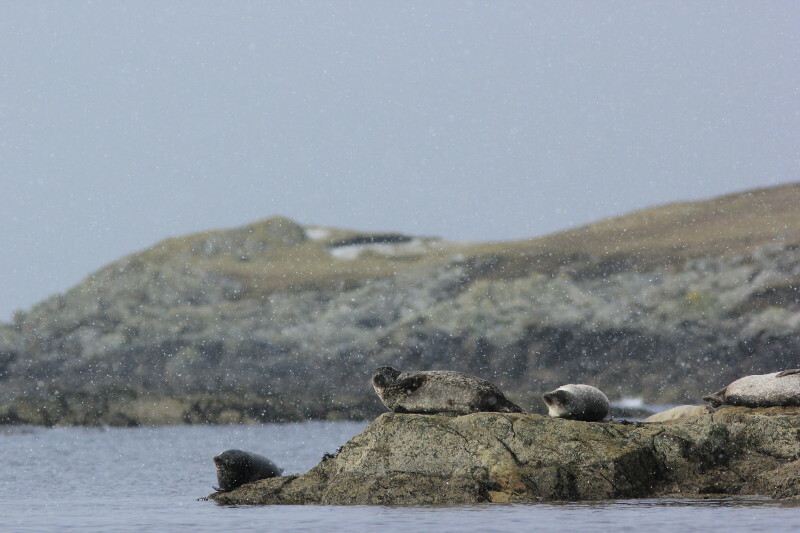 Finally, I’m going to end on a lighter note — seals in the snow. 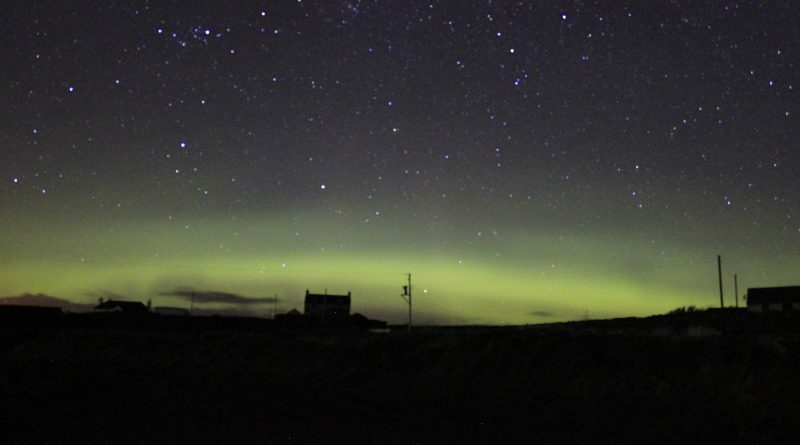 Where else but Shetland?